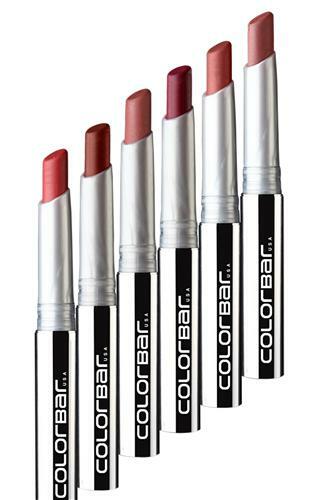 Colorbar came out with a new lipstick - Full Finish Long Wear Lipstick, which has a special matte formula that makes it easy to apply. Sets within seconds of application and makes your lips look fuller. Its waterproof formulation makes it last for up to 8 hours. Enriched with vitamin E, the Full Finish Long Wear Lipstick is smooth, creamy and gives excellent color without drying or cracking the lips also acting as a natural antioxidant against skin ageing. Available in 6 shades & priced at Rs.550. I swatched theses lipsticks at the store the other day and boy-oh-boy were they a pain to remove them from my hand! Even after cleaning them with makeup remover, they left stains, so yes, they are indeed long-wear. C you never cease to inspire certain people (ahem, ahem). i'm looking for kiss-proof lipsticks in reds and pinks, would these be good? would you suggest hot hot hot or tempt me? or other brands? Shraddha- Thank u! I have not tried these, but I guess they are kiss-proof. Hot hot hot has more of a velvety finish & can smudge. If you want really kiss-proof/smudge-proof lipstick, u can check out Loreal Infallible Lip Colors.